It’s the New Year and I bet you’re already sitting around wondering what to do, right? Well, no need to panic because I’ve got the perfect solution, a do-it-yourself Bible Engagement Course based on my top 10 Bible engagement books. I’m convinced that reading these books could literally transform your experience of the Bible in 2011. So…you ready for the list? 1. Understanding the Bible by John Stott. This is the best one-volume summary of the background and context of the Bible that you’re ever going to find, written by one of my heroes. First published by Scripture Union nearly 40 years ago, it’s a classic that should be on the shelf of every Bible reader. Great starting point in our little course. 2. The New Testament Documents: Are They Reliable? Somewhere along the way every Christian asks, “How do I know the Bible is true?” This slim volume focuses on the New Testament (because that’s the target of most doubters) and nails the answer. Reading it will make you a confident defender of the Bible. 3. How to Read the Bible for All It’s Worth, by Gordon D. Fee and Douglas Stuart. Once you understand the context and reliability of the Bible, you need some perspective on how to interpret the different kinds of writing it contains–narrative, laws, psalms, prophecy, Gospels, epistles and so on–plus a grasp of some basic hermeneutical principles. This book delivers all that in a readable format. 4. Shaped by the Word, by M. Robert Mulholland, Jr. Pastors and preachers often say, “God’s Word changes lives.” This book, by one of my mentors, helps us understand how that happens. It zeros in on the role of the Bible in the spiritual formation process. 5. Life with God, by Richard J. Foster. Understanding that the Bible is key to spiritual formation is step one. Step two is “re-learning” how to read the Bible so that spiritual transformation is possible. That’s what Foster helps us do in this book. 6. Eat This Book, by Eugene Peterson. The author of The Message tackles an important question: how can Bible reading and prayer become a genuine dialog with God? If you’re hungry for a Bible engagement experience that’s more than just informational, this is the book for you. I love this book! 7. Reading Scripture with the Church Fathers, by Chris Hall. God’s people have been reading the Bible for centuries. My friend Chris Hall adds depth to our understanding of Bible engagement by introducing us to how Athanasius, Chrysostom, Augustine and many other Church Fathers approached it. Those guys were good. 8. The Blue Parakeet, by Scot McKnight. To balance our historical perspective, we need to listen to some contemporary voices like McKnight’s. His book steers around both liberal and conservative biases so we can catch a fresh vision of the big story of the Bible. 9. Hearing God, by Dallas Willard. How specifically does God speak to us through the words of Scripture, or through any other means for that matter? This book is the best answer to that important question that I’ve ever found, by one of the great spiritual writers of our day. OK, that’s my top 10 list. 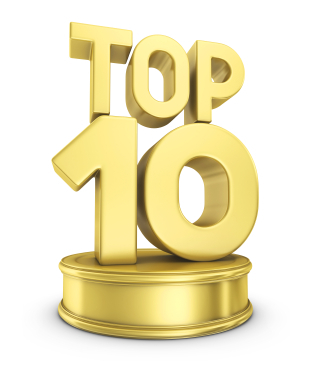 What’s on your top 10 list…what books would you add? Feel free to share them by posting a comment to this blog. Let’s build a list of great Bible engagement books together. Thanks! I hear you. FF Bruce's book went out of print and some unknown publisher picked it up and republished it, but apparently they didn't do a quality job of it. But there is an edition out from Zondervan and if you look on ebay I think you can find that “good edition.” The content is still solid. Another way of understanding The Bible, it says to pray, and ask about it.